This Valentine’s Day spoil your loved one with luxury travel accessory brand, Issara. Issara offers premium yet affordable leather goods that make the ideal gift for Valentine’s Day. Issara have a wonderful range of premium leather pieces that will show anyone just how special they are. All pieces are ethically handcrafted by skilled artisans and will definitely impress your significant other. Included in the Issara collection are briefcases, laptop sleeves, tote bags and clutches. Each is made from full grain leather that is exquisite to touch and looks stunning. The bags are crafted from a combination of luxurious twill, polished hardware and smooth Japanese zippers. One gorgeous product from Issara is the Clutch. This product is impeccably handcrafted from soft milled leather and luxurious cotton twill lining. 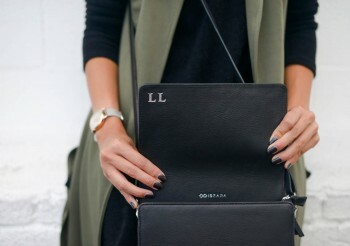 It features 5 card slots, a separate pouch for a kindle and a wristlet. It is available in 5 gorgeous colours; black, navy, mocha, tangerine and cognac. The RRP for the Clutch is $120. You can also add a wonderful touch of luxury by personalising the gift with your loved one’s initials in gold, silver or plain emboss. Order your personalised gift in time for the big day at www.issara.co. Especially for Valentine’s Day you can receive a complimentary monogram by using the code ‘LOVEISSARA’ until February 14th.